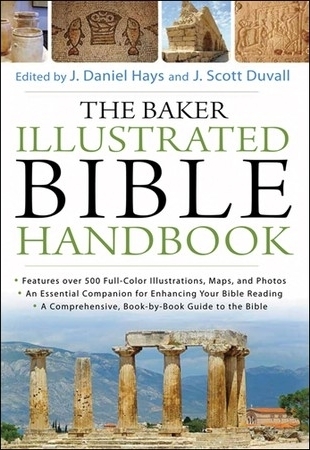 The Baker Illustrated Bible Handbook features 112 articles written by a wide variety of biblical scholars. It provides general information about the culture and history of the biblical time period through in-depth articles on the each book of the Bible. These articles discuss the author and setting for each book, what is interesting about it, and how it can be applied today. They also include outlines and extensive cross-references. Also included are articles on related topics such as the inter-testamental period, how the Bible came to be, and how to dig deeper into studying the Bible. These articles are accompanied by hundreds of photographs and illustrations, greatly enriching the experience for the reader.